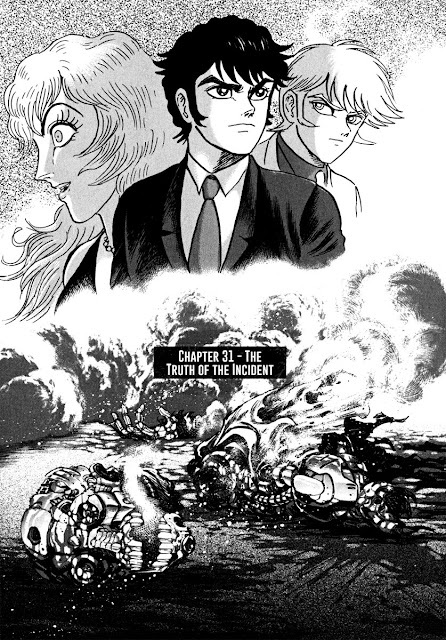 Only three more chapters to go, and that's the end of this volume. However, the action start next one, so it should be good. Anyhow, given that I'm nearing the end of this volume, that my friend hasn't scanned volume 5 (not that I've asked him yet, but I will so I'll have it in advance), and that I've been going through Saga at a quick pace, I'll be starting on those two Tomizawa manga possibly before or after I finish this volume. I've been meaning to work on both, but when you've got a bunch of things to do, you gotta take one thing at a time. At any rate, I also need to scan and work on more Blue Gender as I want to get that out of the way and over and done with, and I've also started typesetting that last Maho chapter from its first volume. There's a ton of text in it for a kid's manga, so it'll take a while given that I'm working on it on the side, and then start on the final Kirakira chapter. Now, all said and done, enjoy the chapter. See ya!